Lio, this fun stuffed Barbary Lion from the YooHoo and Friends collection, is not only cute and cuddly, but is also super silly with a "roar" sound when you squeeze the tummy! 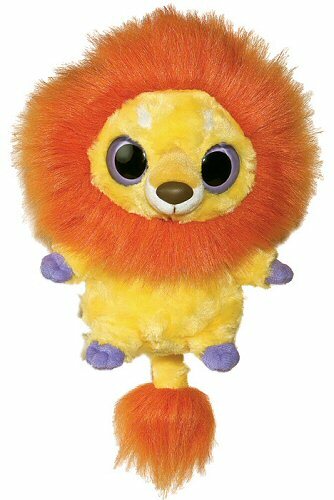 With soft yellow swirly fur, white and purple accents, big purple eyes, and fluffy orange mane and tail tuft, this YooHoo Friends plush Barbary Lion will put a smile on the faces of young and old alike. Did you know that the Barbary Lion is an endangered species? Explore the YooHoo and Friends virtual world, learn about endangered animals, and play fun games at www.YooHooFriends.com. Note: YooHoo friend and stuffed Barbary Lion Lio makes "roar" sound when tummy is squeezed.